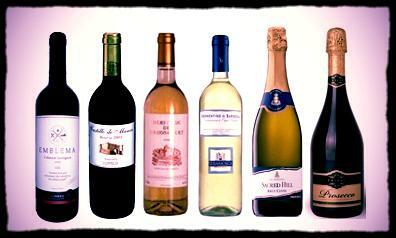 The Old World wines of Italy and France brought together in a neat variety of styles. An elegant Prosecco, a couple of interesting entry level everyday wines, our top selling red wines from both Italy and France, and a renowned, elegant Italian white.More here. Here’s a short cast list that’s also easy one to get along with. 4 Reds, 4 Whites and 4 bubblies; including our top selling Fizzy, our 2nd top selling red, 4 new, low cost, fruity numbers and a dash of elegance in the Prosecco. In fact, 3 or 4 of these cases would make a perfect wine contingent for any medium sized party.More here. Summer Party Season will commence fairly soon. We have been busy securing with our partners, a number of venues for those end of term/year/contract farewells. Please get in touch if you would like to hire a venue in Western Suburbs for your group. We will provide all drinks (beers, wines and soft drinks: the venue will provide food). Explore how the regions of Champagne in France, Veneto & Sardinia in Italy; and Australia add bubbles to create a variety of styles at multiple price points and for every occasion. This selection would make for a very interesting single vertical tasting event or to have a store a lovely wines for any special occasion that might present itself over your year.More here. Do you love your pink, rosé, blush, cláiret or salmon hues? Chilled and as an aperitif or with some canapés there is often no better drink mid afternoon in the garden on a warm day. Some consider summer to be the only time of the year to drink Rosé wines. I have certainly been doing much testing in recent weeks. We now stock 10 Rosés, most still; some sparkling…. Here is a splendid group of several shades between the Red & White wines of 2 continents: a brace each of a French, an Italian and a Chilean.More here. Copyright © 2013 LWwines, All rights reserved.